Dental practitioners are frequently exposed to a variety of occupational hazards such as physical, chemical, biological, and ergonomics which create musculoskeletal disorders. Ergonomics in dentistry is defined as reduction in cognitive and physical stress, preventing occupational diseases, thereby improving efficiency, with better quality and greater comfort for both the practitioners and patients. Work-related musculoskeletal disorders are common among dental practitioners. The study conducted was questionnaire based with 400 participants from 8 dental schools of Karachi, Pakistan. The questionnaire was divided into three segments of knowledge, practice and work environment. A cluster sampling method was implemented. The total participants of this study were 400 out of which 136 (34.1%) were male and 246 (65.7%) were female. For better understanding and convenience, the responses were categorized into poor, fair, and good. The mean ± standard deviation of practicing dentists for knowledge was 5.95 ± 2.291, for practice was 12.02 ± 3.189, and for the condition of workplace was 9.88 ± 1.688. The current study provides an insight into ergonomics for dental professionals during routine dental procedures. The knowledge, practice and work environment studied related to ergonomics were not satisfactory among the participants. There is a need of practical and theoretical inclusion of basic ergonomics principles. Sheron B, Roopal P, Dolly pate. The invisible risks: Spotting the hazards in your orthodontic practice: A review. IOSR J Dent Med Sci (IOSR-JDMS) 2014;13:4-8. Castro SL, Figlioli MD. Ergonomics applied to dentistry: Evaluation of posture and work positions of the dentist and the assistant handed dentistry in restorative procedures. JBC J Bras Clin Estet Odontol 1999;3:56-62. Graham C. Ergonomics in dentistry, Part 1. Dent Today 2002;21:98-103. Lindfors P, von Thiele U, Lundberg U. Work characteristics and upper extremity disorders in female dental health workers. J Occup Health 2006;48:192-7. Sartorio F, Vercelli S, Ferriero G, D’Angelo F, Migliario M, Franchignoni M. Work-related musculoskeletal diseases in dental professionals 1. Prevalence and risk factors. G Ital Med Lav Ergon 2005;27:165-9. Ratzon NZ, Yaros T, Mizlik A, Kanner T. Musculoskeletal symptoms among dentists in relation to work posture. Work 2000;15:153-158. Pargali N, Jowkar N. Prevalence of musculoskeletal pain among dentists in Shiraz, Southern Iran. Int J Occup Environ Med 2010;1:69-74. Chowanadisai S, Kukiattrakoon B, Yapong B, Kedjarune U, Leggat PA. Occupational health problems of dentists in southern Thailand. Int Dent J 2000;50:36-40. Akesson I, Lundborg G, Horstmann V, Skerfving S. Neuropathy in female dental personnel exposed to high frequency vibrations. Occup Environ Med 1995;52:116-23. Marshall ED, Duncombe LM, Robinson RQ, Kilbreath SL. Musculoskeletal symptoms in New South Wales dentists. Aust Dent J 1997;42:240-6. Milerad E, Ekenvall L. Symptoms of the neck and upper extremities in dentists. Scand J Work Environ Health 1990;16:129-34. Rehman K, Ayaz H, Urooj W, Shah R. Work-related musculoskeletal disorders among dental practitioners in Khyber Pakhtunkhuwa. Pak Oral Dent J 2013;33:531-4. Madaan V, Chaudhri A. Prevalence and risk factors associated with musculoskeletal pain among dental students of MGM dental college: A cross-sectional survey. J Contemp Dent 2012;2:22-7. Rising DW, Bennett BC, Hursh K, Plesh O. Reports of body pain in a dental student population. J Am Dent Assoc 2005;136:81-6. Niu S. Ergonomics and occupational safety and health: An ILO perspective. Appl Ergon 2010;41:744-53. An Introduction to Ergonomics. Risk Factors, MSDs, Approaches and Interventions. A Report of the Ergonomics and Disability Support Advisory Committee (EDSAC) to Council on Dental Practice (CDP). American Dental Association; 2004. Valachi B, Valachi K. Preventing musculoskeletal disorders in clinical dentistry: Strategies to address the mechanisms leading to musculoskeletal disorders. J Am Dent Assoc 2003;134:1604-12. Lake J. Musculoskeletal dysfunction associated with the practice of dentistry - proposed mechanisms and management: Literature review. Univ Tor Dent J 1995;9:7, 9-11. Caruso CC, Waters TR. A review of work schedule issues and musculoskeletal disorders with an emphasis on the healthcare sector. Ind Health 2008;46:523-34. Higher Education Commission Pakistan. Curriculum of Bachelor of Dental Surgery (BDS) Five years Programme(Revised 2011). Islamabad; 2011. Available from: http://www.hec.gov.pk/InsideHEC/.../Curriculum Revision/.../Draft - BDS-2011. [Last accessed 2015 Jun 26]. Garbin AJ, Garbin CA, Diniz DG, Yarid SD. Dental students’ knowledge of ergonomic postural requirements and their application during clinical care. Eur J Dent Educ 2011;15:31-5. Bârlean L, Dãnilã I, Sãveanu I. Dentists ergonomic knowledge and attitudes in north-east region, Romania. Roman J Oral Rehabil 2012;4:40-3. Mailoa P, Rovani P. Study of Ergonomic Aspect in Daily Practice Dentistry of Some Private Dental Clinic in Makassar. Makassar, Indonesia: Hasanuddin University; 2011. Available from:http://www.repository.unhas.ac.id/handle /123456789/ 689. [Last accessed on 2011 Nov 16]. Moffat M, Vickery S. Manual of Maintenance and Postural Reeducation. Porto Alegre: Art Med; 2002. Kierklo A, Kobus A, Jaworska M, Botulinski B. Work-related musculoskeletal disorders among dentists - A questionnaire survey. Ann Agric Environ Med 2011;18:79-84. Munaga S, Manjusha R, Sheeba K, Chitumalla R, Sajjan P, Kubagiri SK, et al. Assessment of knowledge, practices, and work place condition related to ergonomics among dental students of Bhopal city - A questionnaire study. J Orofacial Sci 2013;5:109-13. Sayli P, Band S, Snehal G. Incidence and study of occupational factors associated with low back pain in dentists in Pune region India. 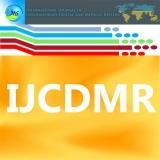 IOSR J Dent Med Sci (JDMS) 2012;3:8-12. Diaz-Caballero AJ, Gómez-Palencia IP, Díaz-Cárdenas S. Ergonomic factors that cause the presence of pain muscle in students of dentistry. Med Oral Patol Oral Cir Bucal 2010;15:e906-11. Al Wazzan KA, Almas K, Al Shethri SE, Al-Qahtani MQ. Back and neck problems among dentists and dental auxiliaries. J Contemp Dent Pract 2001;2:17-30. Akesson I, Johnsson B, Rylander L, Moritz U, Skerfving S.Musculoskeletal disorders among female dental personnel - clinical examination and a 5-year follow-up study of symptoms. Int Arch Occup Environ Health 1999;72:395-403. Leggat PA, Smith DR. Musculoskeletal disorders self-reported by dentists in Queensland, Australia. Aust Dent J 2006;51:324-7. Bernard C, Anita W. A Catalog of biases in questionnaires. Prev Chronic Dis 2005;2:1-13.